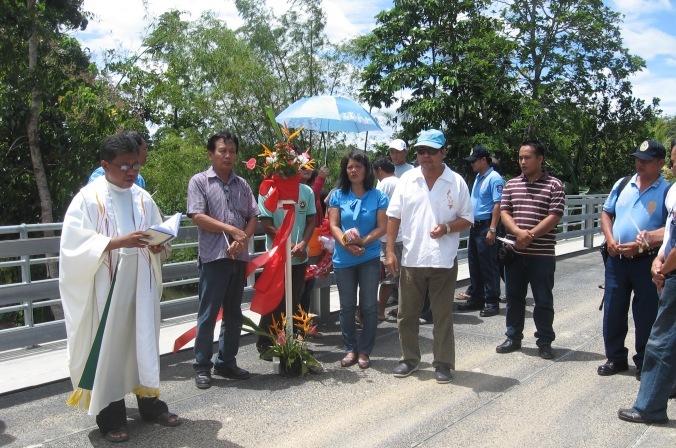 At last, after years of waiting and enduring extreme difficulty in traversing this provincial road, the Zamora Bridge was formally blessed and opened with a ribbon cutting ceremony on September 2, 2012. On a bright and sunny Sunday morning, the MPRAO Staff headed by Mr. Apolinario Artiaga, went to the said bridge and prepared the area for the ribbon cutting. By 10:00 A.M., Mayor Restituto B. Auxtero, Vice-Mayor Marcos Q. Aurestila, Engr. Elmer M. Alfaras and party, Engr. Gregorio E. Sayson, some PNP personnel and other guests gathered at the bridge waiting for the arrival of Fr. Chito C. Lozada, the Parish Priest of San Agustin Parish who earlier said that he will be arriving at 11 A.M. Upon Fr. 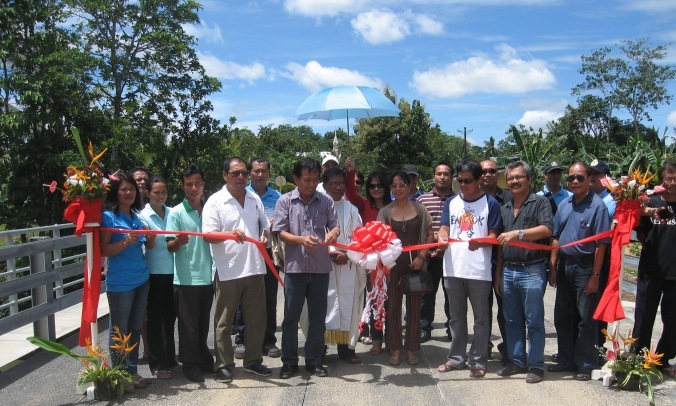 Lozada’s arrival, the ribbon cutting ceremony was immediately initiated with the Mayor and Engr. Alfaras, the President’s Bridge Program Officer, doing the honors of cutting the ribbon. The blessing of the bridge followed afterwards and then the selected guests proceeded to the Watergate Tourist Inn & Restaurant for lunch. Just a simple and unobtrusive affair, yet the after effects of the formal opening of the public road, now passable, is momentous! Now, after years of enduring much difficulty, the barangays Magsaysay, Sikatuna and Zamora, can easily transport their agricultural products to the Poblacion market. 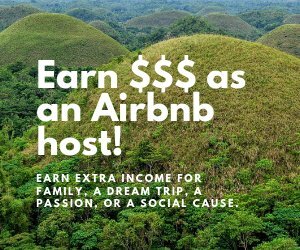 Having to go the roundabout way before, now the people can go straight to their destinations and saves them time and money on travel and labor costs. The Zamora Bridge is a gargantuan project from the “Mega Bridges for Urban Development” under the President Aquino’s Bridge Program. Years have passed since the dilapidated bridge was made impassable to four-wheeled and even to single motorized vehicles. In fact, several deaths were reported when the bridge collapsed several times in the past. The bridge was constructed under a Memorandum of Agreement (made and executed Nov. 24, 2011) by and between the Department of Public Works and Highways-President’s Bridge Program Office (DPWH-PBPO) represented by Engr. Elmer M. Alfaras; the DPWH-Bohol 2nd District Engineering Office (DPWH-BOHOL 2nd DEO) – Ubay, Bohol, represented by District Engineer Gregorio E. Sayson; and the Municipal Government of Talibon, represented by Restituto B. Auxtero. The DPWH-PBPO was tasked to construct the two (2) abutment of the bridge, the ten (10) meter concrete pavement for each approach of the bridge and launch/install the bridge superstructure. The DPWH-BOHOL 2ND DEO – assisted the DPWH-PBPO in monitoring the construction of the bridge project and will provide assistance to the LGU for the maintenance upon completion of the bridge project. The LGU-Talibon provided counterpart funds and acquired Road-Right-of-Way and demolished/cleared existing structures that affected the construction of the bridge project.